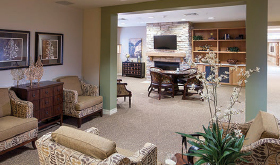 Through its sister company, CBC Real Estate Group, US Federal Partners (USFP) partnered with Oxford Senior Living of Wichita, Kan., to develop a new Assisted Living and Memory Care Community in the north Dallas community of McKinney, Texas. Construction of the 70,000 square-foot, $15 million Oxford Grand Assisted Living and Memory Care facility, located just north of Eldorado Parkway on Orchid Drive, began in July 2015 and was completed in fall 2016. 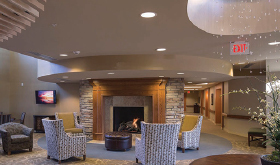 The Oxford Grand Assisted Living and Memory Care in McKinney is modeled after The Oxford Grand in west Wichita, which opened in November 2013. It offers 51 assisted living apartments for active seniors and an additional 22 memory care suites dedicated to individuals living with Alzheimer’s and dementia. Oxford Grand residents will enjoy access to a coffee bar, restaurant-style dining, a private fitness center, a demonstration kitchen and more.